Welcome to Week 51 of Year 3 at Paint Party Friday! In two weeks, Paint Party Friday turns 3 (and we enter year 4)!!! Please feel free to paint with a party theme in mind for our birthday (or is it anniversary? or blogoversary?...) Of course that is totally optional, the invitation to our party is always open to everyone, no matter what you paint! This week the random.org number generator chose #72 - Sharon at Moxie Rabbit Hop Blues. 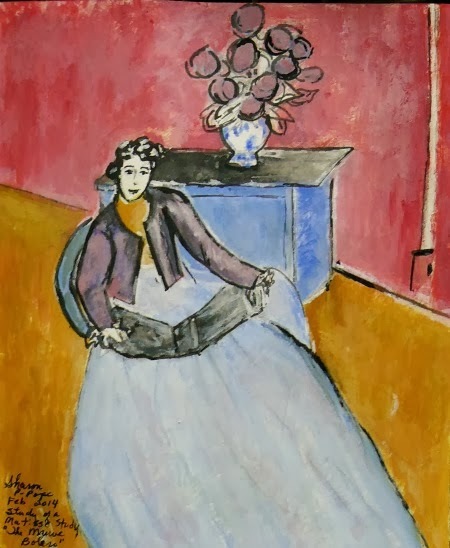 Sharon is thoroughly enjoying her "Studying With The Masters" e-course, and it shows... Last week she shared her wonderful interpretation of a Matisse classic. Welcome to Week 50, Year 3 of Paint Party Friday! Wow - Week 50... that means Year 4 is quickly approaching... We are pondering what to do for PPF's Birthday Party. Do you have any suggestions you'd like to share with us? 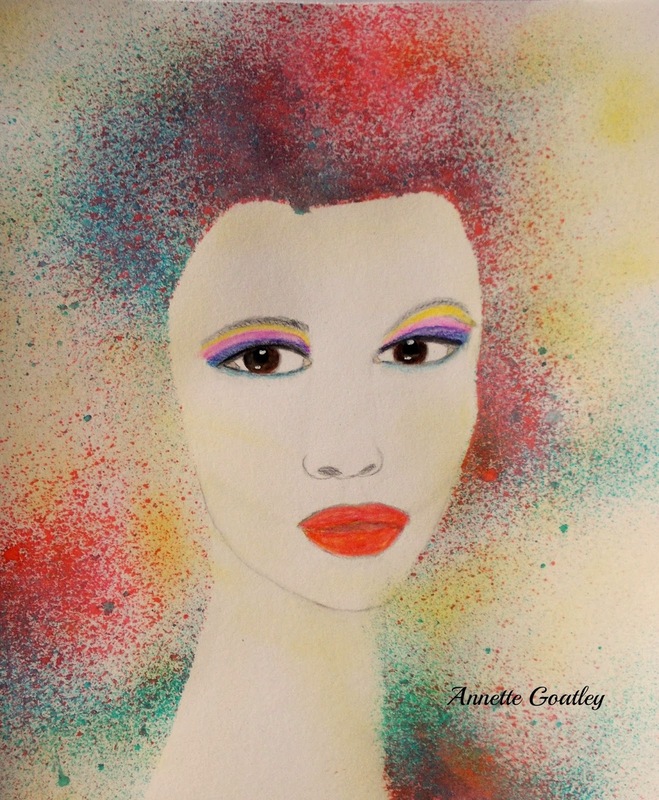 This week the random.org number generator chose #25 - Annette G. One of our long time partyers, Netty has been creating faces for 29 Faces in February and to create this colorful and lovely face, she used spray paint/inks. What a fascinating effect! Have a great creative week everyone! Welcome to week 49, Year 3 of Paint Party Friday! Welcome to Week 48 of Paint Part Friday, Year 3! This week, the random number generator chose #27 - Morag . 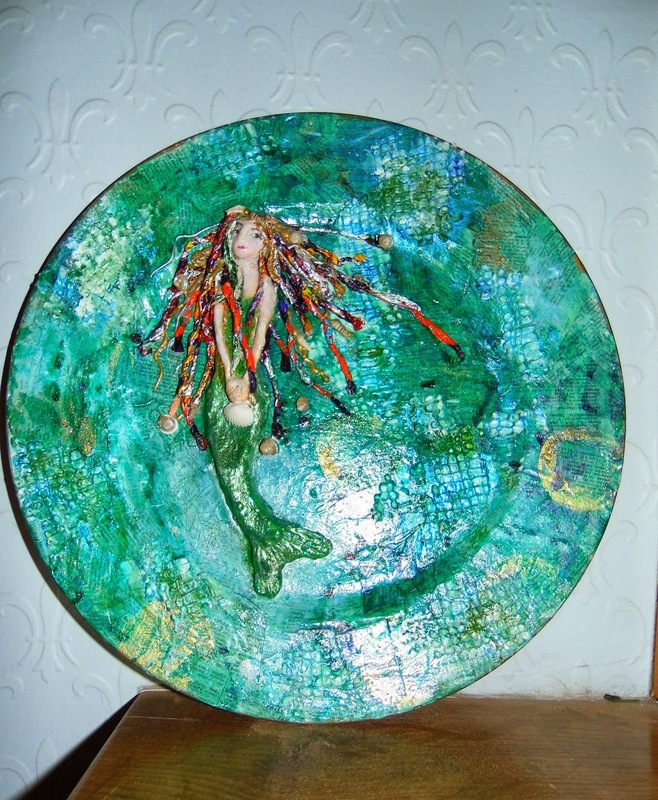 She showed us this fascinating painting she did on a plate, using candy wrappers for the incredible texture of the mermaid's hair! 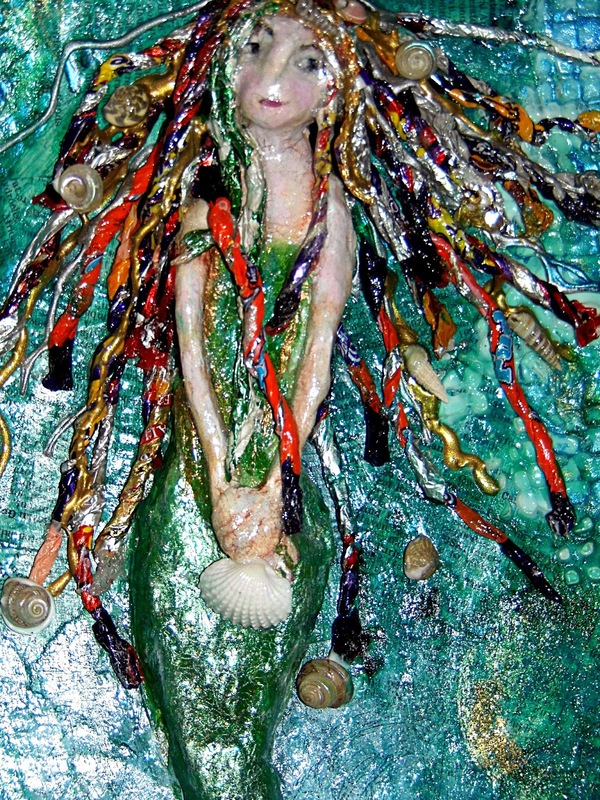 Drop by and see all the step-by-step photos of her lovely painting! Have a lovely creative week, everyone!